Home Events Introduction of the PTP / Gun F/X Micromag? Here’s a Team Sasquatch Micromag I purchased last year off ebay. I’m trying to figure out which year these were first used at the Splat 1 National Indoor Championships by Team Sasquatch. 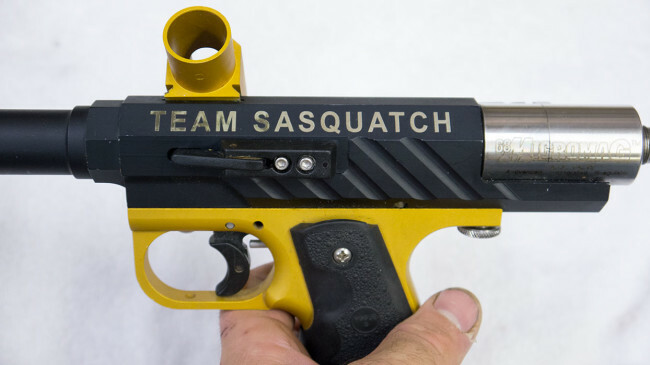 Team Sasquatch Micromag owned by Sasquatch captain, John Law. Based on these two posts on rec.sport.paintball I’ve been able to dig up, it looks like either 1994 or ’95. If you know more information about the introduction of the Micromag please comment below or post on facebook. A quick look at a PTP Micrococker that I bough way back. It's Nickel plated and has a Race frame on it. A quick video looking at a Pro Team Products Double trigger Slider frame on an Autococker. 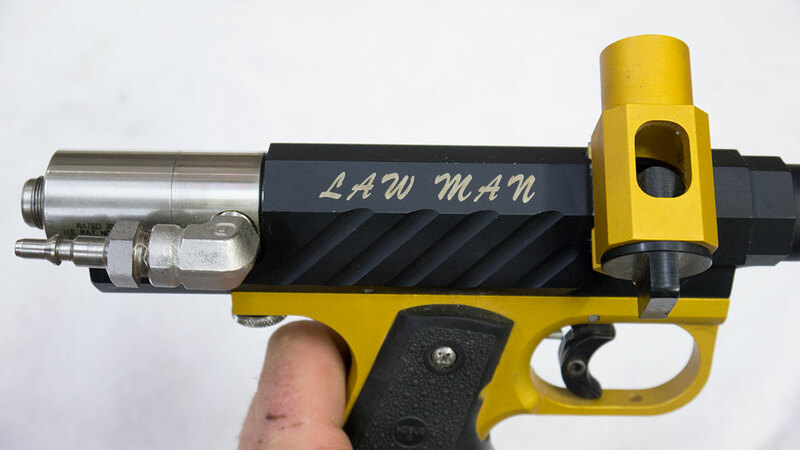 This is a unique frame with a double trigger plate.